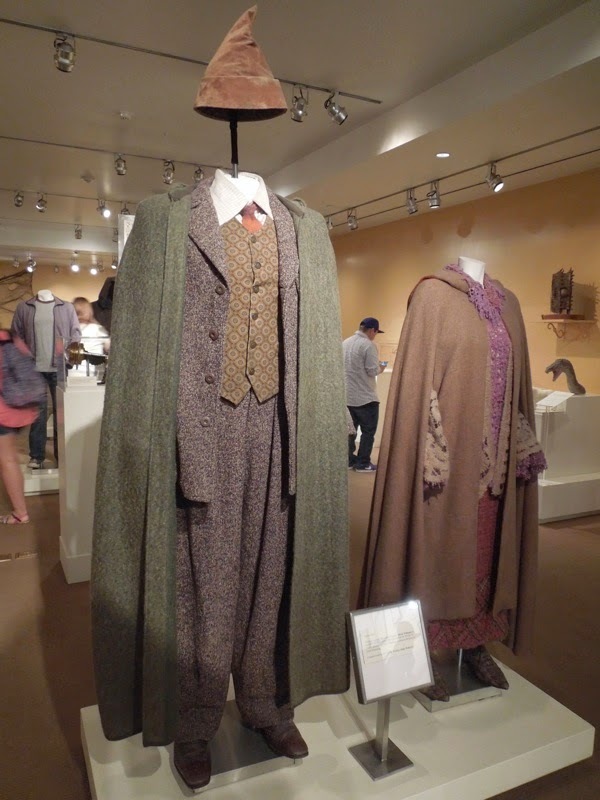 With J. K. Rowling entertaining fans with new stories with her 12 days of Harry Potter Christmas, I thought it was timely to share these original movie costumes worn by the 'Weasley' family in the hit movie franchise. 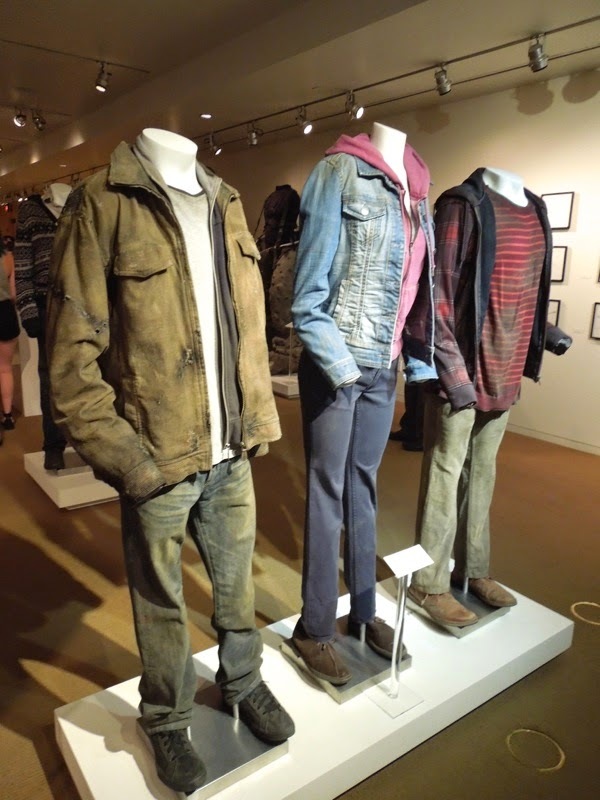 First up are costumes designed by Lindy Hemming and worn by Mark Williams as Ron's Dad, 'Mr. 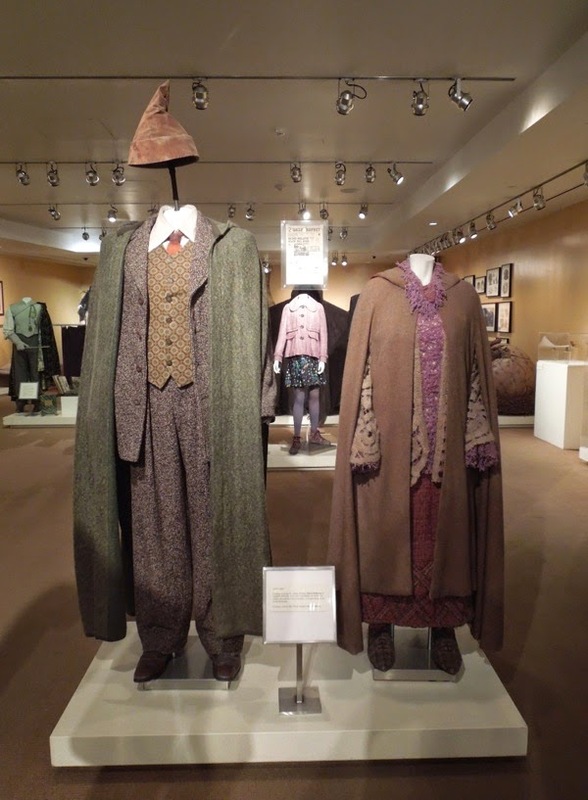 Arthur Weasley', and Julie Walters as Ron's Mum, 'Mrs. 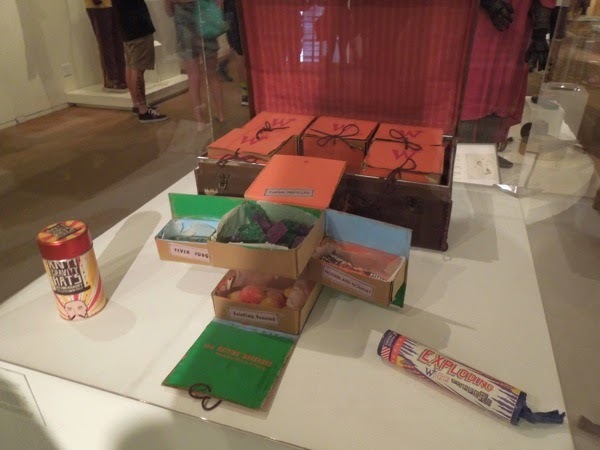 Molly Weasley', in Harry Potter and the Chamber of Secrets. 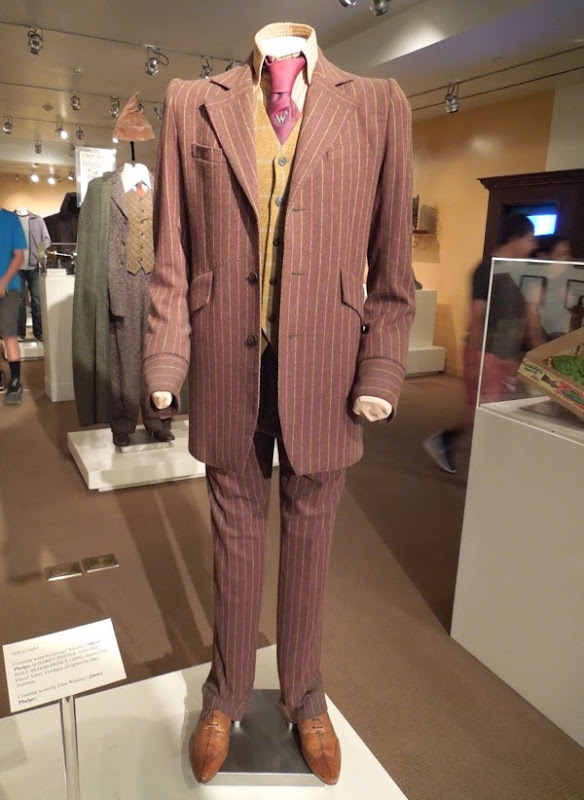 Next up are the dapper suits designed by Jany Temime and worn by the Weasley's mischievous identical twin sons 'George' and 'Fred', played by Oliver and James Phelps, in the sixth movie installment from 2009. 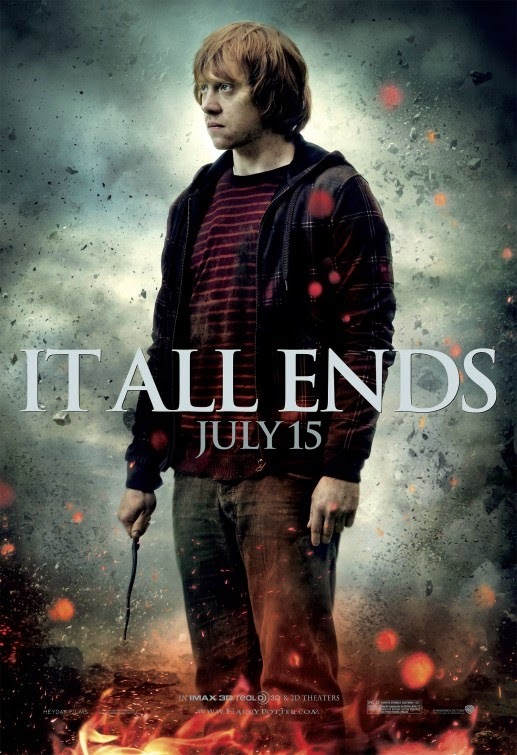 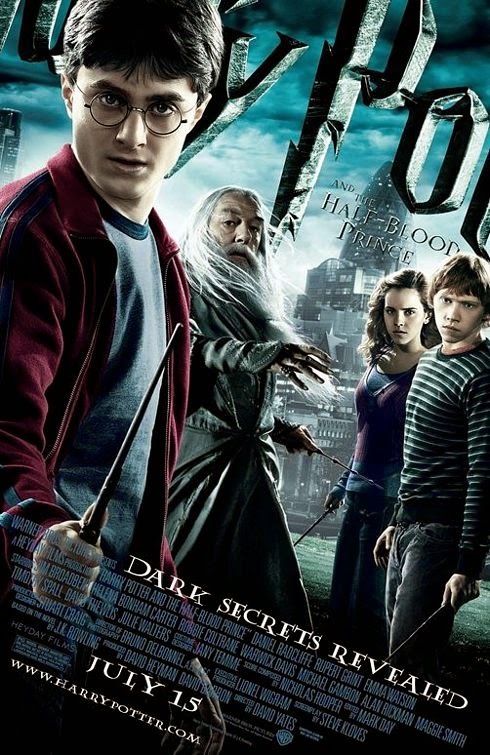 In this movie they were no longer attending Hogwarts, but had branched out as the proprietors of their own joke shop at no. 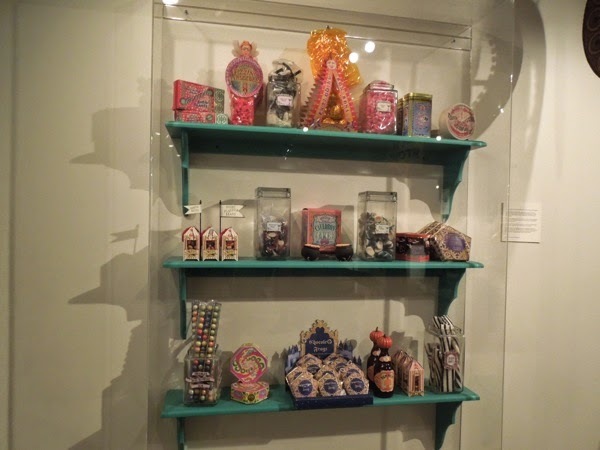 93 Diagon Alley, called Weasley's Wizard Wheezes. 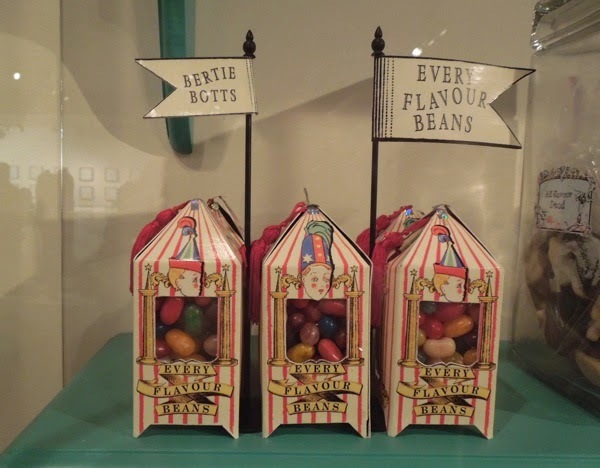 Also included in the fantastic exhibit upstairs at the Warner Bros. Studios VIP Tour Museum on July 29, 2014, were a collection of props from the film franchise, including the sweets and candy enjoyed by wizarding children, like chocolate frogs and Bertie Botts Every Flavour Beans, plus joke products from the Weasley twins shops and even the Portkey boot used by the family to travel to the Quidditch World Cup Match campsite in 2005's Harry Potter and the Goblet of Fire. 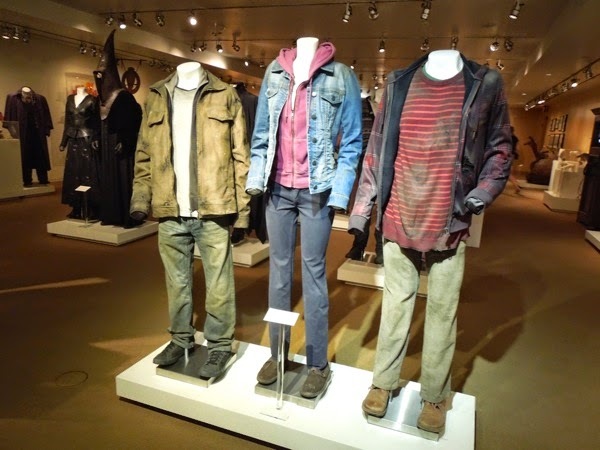 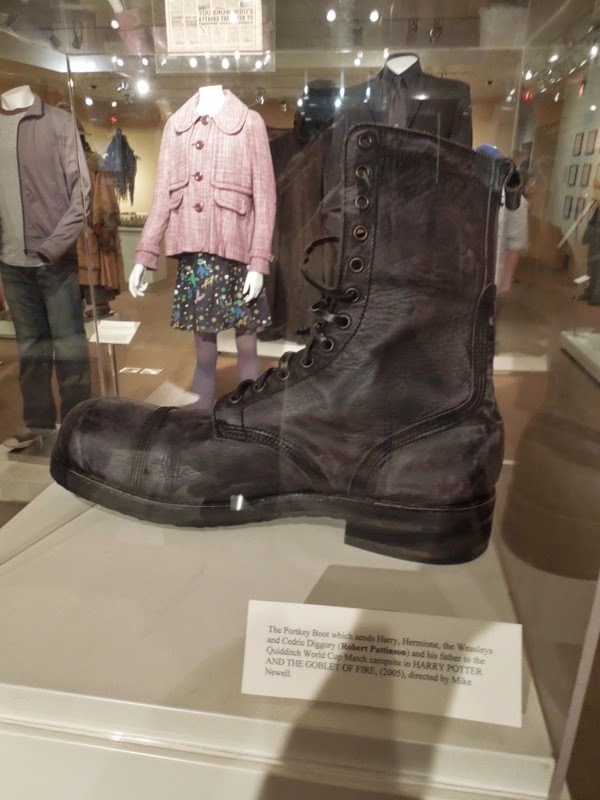 And finally, also on display were the grubby movie costumes worn by Daniel Radcliffe, Emma Watson and Rupert Grint as best friends 'Harry Potter', 'Hermione Granger' and 'Ron Weasley', as they tried to evade the forces of 'Lord Voldemort' in the final movie, Harry Potter and the Deathly Hallows Part 2. 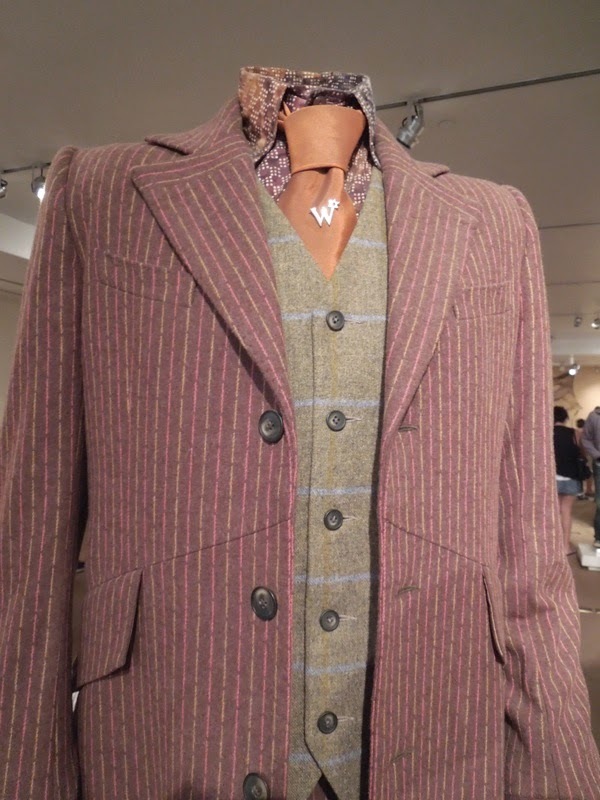 Once again Jany Temime was Costume Designer on the film. 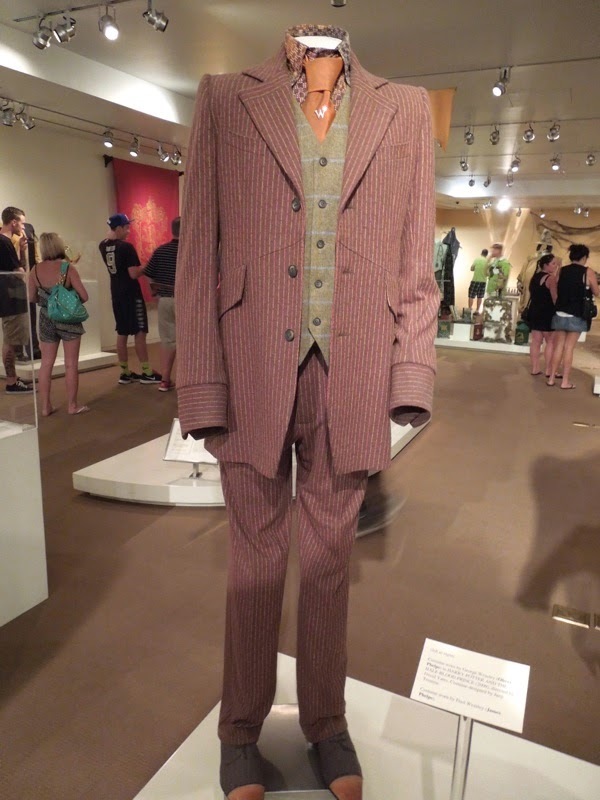 If you're a fan of the Potterverse, be sure to also check out all these other original costumes and props from the Harry Potter movies on display at exhibitions over the years.